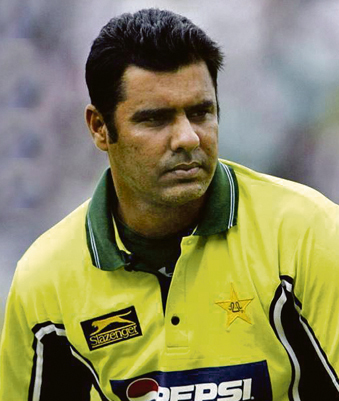 Former Pakistan cricket captain, Waqar Younis, joined one of the most exclusive clubs in the sport last week as he was named an honorary member of the ICC Hall of Fame. The 42-year-old notched up more than 80 Test matches for the national side, captaining 17 of those and is considered one of the greatest players of his generation. 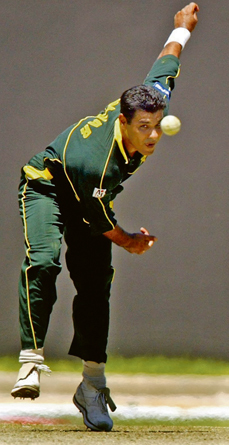 A wicked bowler, Waqar was labeled the ‘Burewala Express’ for his reverse swing technique which sliced through even the greatest batsmen. His career statistics, of 373 wickets in 87 Tests, and 416 wickets in 262 One Day Internationals, makes him one of the most lethal men with a ball in the sport. In a first-class career spanning over a decade-and-a-half, he snared 956 wickets from 228 matches with a best of 8-17. He also remains to date the only bowler to take five wickets in an innings in three consecutive ODIs, between 4th November and 9th November 1990. Speaking before his induction, the bowling pioneer said: “It is a huge honour for me to be inducted into the ICC Cricket Hall of Fame. I simply cannot wait for the day to come. Joining such an elite group in front of what promises to be a full house in Dubai for the first Pakistan-Sri Lanka Twenty20 International will only make the experience more memorable. “It is a huge honour for me to be inducted into the ICC Cricket Hall of Fame. Waqar was inducted as the 70th member of the exclusive club, whilst Australian Adam Gilchrist was number 71. Waqar joins countryman Hanif Mohammad as well as his former team-mates Imran Khan, Javed Miandad and Wasim Akram, who were among the first intake of inductees into the ICC Cricket Hall of Fame. Waqar was officialy inducted during the first Twenty20 International between Pakistan and Sri Lanka at Dubai International Cricket Stadium in Dubai Sports City on the 11th December.